In accordance with the ICE® (Infinite Childhood Evolution) method which requires the existence of an academic Board of professional, high profile trustees able to refresh, follow and integrate academic programs, and verify their validity with respect to their field of specialization, adding, where necessary, elements and innovations they consider important to ensure that our school has a cutting-edge, consistent curriculum, thereby securing to offer a quality service that is why we are always seeking to evolve. 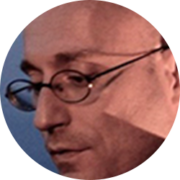 Journalist and writer, Mr. Aprile was deputy editor of “Oggi,” and director of “Gente.” His televised productions include an investigative TV series together with Sergio Zavoli called “Journey to the South” and the weekly national news on Tg1, Tv7 . Mr. Aprile is the author of several writings “Elogio dell’Imbecille”, Elogio dell’Errore” and Il Trionfo dell’ Apparenza”, all published by Piemme, greeted with success and translated into many languages. “Terroni”, released in 2010, was his greatest achievement and was in the top of the charts for months. The subsequent “Giu al Sud”, also a bestseller, made Aprile the most popular southern Italian journalist in Italy and won him many awards including the Rhegium Julii Prize in 2010 and the Caccuri Prize in 2012. Mr. Aspromonte has a diploma as National Instructor which has given him expert knowledge of physical education and basic training. 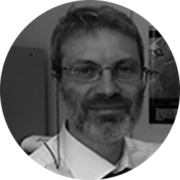 Mr.Perfetti is an expert in solid-state physics, surface physics, with particular experience in direct and inverse photoemission spectroscopy, LEED, Auger analysis, synchrotron radiation-matter interaction. 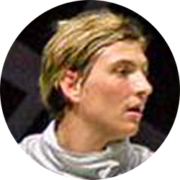 He has taught at the University of Rome “La Sapienza” and the University of L’Aquila. 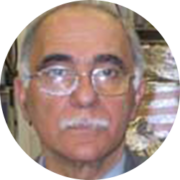 From 1988 to 2008, and was Director of the Institute of Structure of Matter of CNR. He boasts numerous invitations to international conferences and seminars in different laboratories, and more than two hundred papers in international journals, were held on topics such as infrared detectors heterojunction, light emitting diodes, metal-semiconductor interfaces, heterojunction, EXAFS and surface EXAFS, chemisorption of CO on Ni, resonant Photoemission in semiconductors, etc. Psychopedagogist, teacher and trainer of Normodinamica, family mediator. Mr. Ricci has worked for over twenty years in the field of education, relationship advice and training. He directs the Center for Educational and Pedagogical Studies at the Periagogè, Normodinamica school he founded. 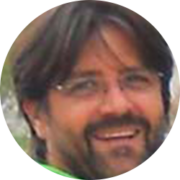 He has worked at the Coop, Borgorete of Perugia psychology as a consultant for the nurseries and at the Open Sky Training as a consultant for training and developing human resources in the enterprise. He was a pupil and collaborator of Edda Ducci, educator and professor of Philosophy of Education at LUMSA. His research interests revolve around the personal dialogism, the pedagogy of hermeneutics and the constructivist psychology of the self. Mr. Ricci practices and teaches meditation, judo and kendo. 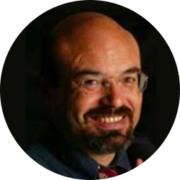 Philosopher and psychologist, Stefano Serafini is a founder member and the current research director of the International Society of Biourbanism (ISB). Stefano started up and managed education, tourism and publishing businesses, and edited several works on biourbanism, epistemology, politics and culture. Among them the programmatic definitions of «Biourbanism» and «Peer-to-Peer Urbanism», and the latter «Biourbanism as a new framework for smart cities studies», in M. Vinod Kumar (ed. ), Geographic Information System for Smart Cities, Copal Publishing Group: Ghaziabad/London, 2013 (with A. Caperna). Following his interest in the concepts of form and intentionality, he has disseminated and promoted the thought on biological self-organization by the cytogeneticist Antonio Lima-de-Faria, the architectural theories by Christopher Alexander and Nikos Salingaros, and the socio-artistic work by Marco Casagrande. His research is currently dealing with scientific problems as for example: fractals, theory of complexity, evolutionary biology, artificial intelligence and the relationships of all these features with an oriented human architecture. 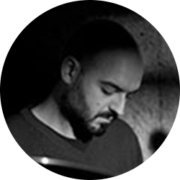 He has recently published “Partecipazione e ICT (Gangemi Editore), “Biophilic design and Public Spaces (UN-Habitat Session – Biennale Public Space).